Donated by: Paul Homfray, Victoria. The HP DeskJet was a major breakthrough in inkjet printing. The lab name for the original 300dpi inkjet printer was "Voodoo". It printed on plain paper and offered "laser quality" (300dpi) output. Best of all it was priced at less than half the cost of a laser printer. The DeskJet was a hit; it was the next best thing to a personal laser printer. The DeskJet did have its limitations: its print quality was "fuzzy" when compared to a laser printer, it was big, and the ink was not waterfast - it was easily smeared with moisture (eg highlighting pen, coffee cup). It was also expensive to run when compared to an impact printer. The DeskJet proved the importance of print quality among low-end printer users. 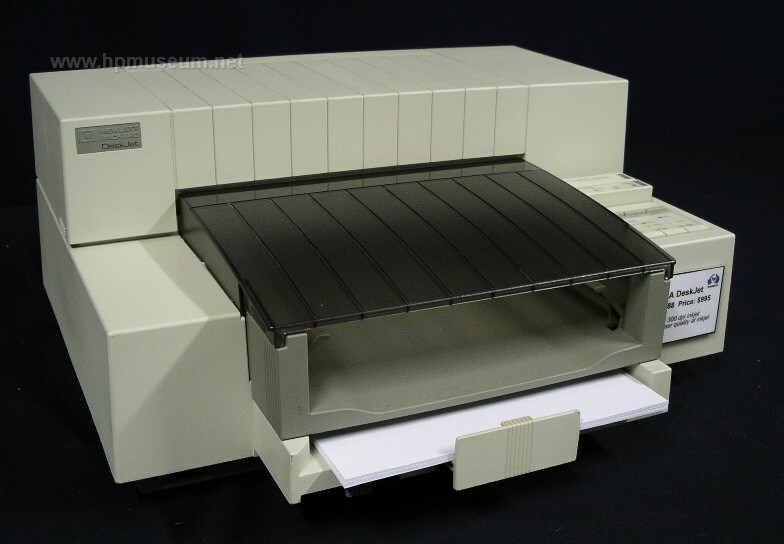 The industrial design (boxy look) of the original DeskJet was to be used for follow on products over the next 6 years (DJ Plus, DJ 500, DJ 500C, DJ550C). The DeskJet brought a big jump in inkjet printer sales, but bigger jumps were yet to come. 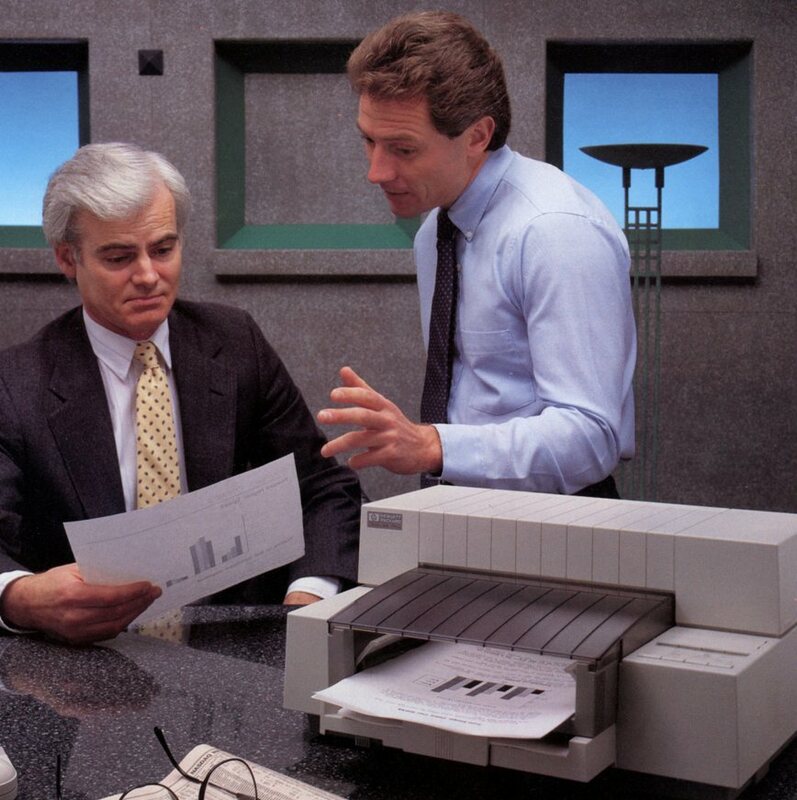 The early DeskJet printers are still very reliable as of 2014. These printers have external power supplies, built in to the power cord. The museum has more than two dozen of these power supplies, and they all work fine. In the last ten years, we have seen over fifteen of these printers. All except one was fully functional. The biggest challenge with the old DeskJets is in the print cartridge. If you use the printer every week, you probably won't have any problems. But, if the printer is idle for a month or more, you will likely get clogged print nozzles. Sometimes, this can be fixed by swiping the nozzles with a lint-free isopropyl alcohol cloth. If the print cartridge hasn't been used for many months, you can often get it working again by wrapping it in a flame-proof cloth and heating it in an oven. We don't recommend this process unless you really know what you are doing.